Always loved these little plants – when you get in close, they are like miniature worlds. 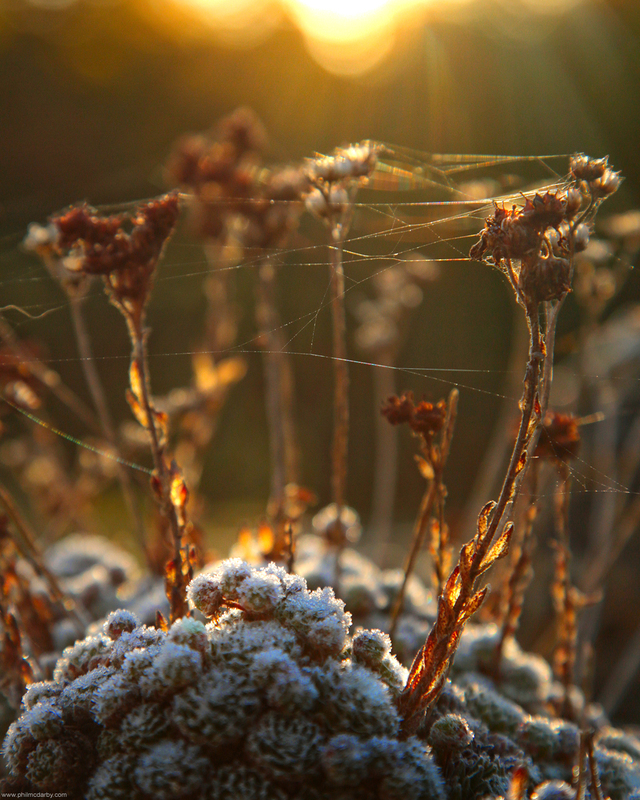 This was dawn, and the morning frost made them prickly with silver. This whole shot is maybe 5cm across.